But Bill’s most recent venture, a spin-off from his HomeButtons Electronic Systems, is directed at Meaford retirees. 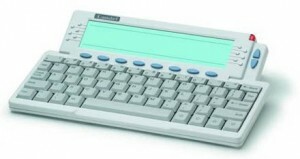 HomeButtons Special Care is devoted to sales and installation of electronic devices that can help people age at home. Yes, retiring can be cool! Here are some of the latest tech tools and toys Bill has on offer. For some retired folks, email is more of a hassle than it’s worth. Not so with the MailBug email system. Instead of using a computer, this handy device uses your phone line to send and retrieve email from trusted senders. No need to learn complicated software, and no worries about virus attacks. The doctor just gave you yet another prescription or recommended another daily pill. Yet another hassle, you mean. 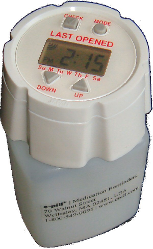 Enter the e-pill Multi-Alarm TimeCap. Pop it on your pill bottle, and you not only get a reminder of when to take your medication – but it reminds you of when you took your last one. As we age, a simple stroll can be better with some safeguards. 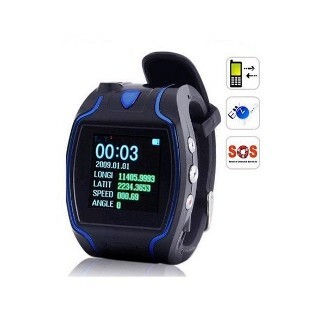 The SafeLink GPS Wander Monitor is a small bracelet or pager-size communicator that allows loved ones to monitor the wearer on Google Maps – including the option to set an alert when he or she goes beyond a geographical boundary. And an SOS button lets the wearer send an alert in case something happens. Just to make it cooler, it also functions as a watch and a cell phone. In addition to selling these devices, Bill recognizes that some less-than-e-savvy retired folks might be more tempted to throw them out the window than to use them – so he also handles the installation and training to make sure people are totally comfortable with their new toys. Check out more of Bill’s devices here. A few facts to clear up any confusion between Meaford Haven and Seasons Owen Sound. As you know, Meaford Haven is a Three-Seasons Community™. This means that you’ll enjoy living every season of your retirement in our beautiful small-town retirement community – from your active early retirement through settling to those days when you appreciate assistance and companionship in a caring setting. Meaford Haven, 15 minutes down the road from Owen Sound, Ontario, is the first of many Three-Seasons Communities envisioned throughout Ontario. 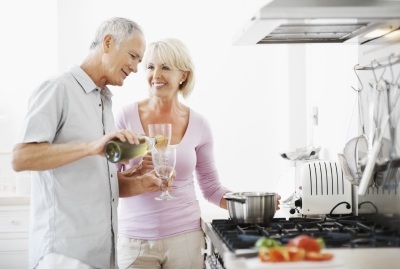 We wanted to make that people looking forward to their retirement years make the distinction between this unique concept and other retirement residences, which are sometimes branded as retirement communities. The vision for Meaford Haven is a true community, a neighbourhood of cluster bungalows (right next door to the Meaford Golf Club) for your early retirement, when you want an active, independent life (without the home maintenance hassles of the house you’re in now); low-rise condominium apartments for those years when you’re looking to take things a little easier; and a retirement residence to offer additional care and companionship. Owen Sound has a retirement residence known as Seasons Owen Sound, which is an attractive low-rise retirement home consisting of studios, one- and two-bedroom apartments. Seasons Owen Sound seems directed to the Summer and Autumn seasons, and is situated in the downtown area of Owen Sound. Meaford Haven, on the other hand, is a true Three Seasons Owen Sound area retirement community – allowing you to live in the same small-town Ontario neighbourhood for every season of your retirement life. To learn more about our Three Seasons Owen Sound area retirement community, download the fact sheet. Thanks for letting us clear things up. Industry Canada backs this up. Forty percent of workers over 65 are self-employed. Of course a bunch of those are people who were self-employed before they hit 65; they just haven’t retired yet. But some of them fall into the ranks of the “boomerpreneurs” – those who’ve decided, for various reasons, to use the free time that comes with retirement as an opportunity to start a business. Marx describes a sample coaching she experienced as involving a top-secret 16-page questionnaire; one-on-one meetings with consultants and a psychologist; and a “bridge meeting” – a brain-storming session on what might make her perfect post-career career. Tina Di Vito, Director of Retirement and Financial Planning Strategies, BMO Financial Group, might be considered a retirement coach. Her advice? Do your research Take advantage of the resources and network you have built over the years and learn all you need to know to set up your company. This includes gaining industry insight, arranging a new phone number, deciding whether or not to incorporate the business and looking into the potential tax implications. Consider the pros and cons Think carefully about why you want to start your own business. Being your own boss can offer some flexibility. However, other sacrifices, such as longer hours and a possible decrease in cash flow – both starting up, and potentially over the life of your retirement – may be necessary to ensure your success. Develop a plan Stress-test your idea and research your marketplace, including what products and services you will offer, the appropriate price point(s), who your potential customers will be and what your sales targets will need to be to cover your costs. Keep your end goal in mind as you build your company and maintain a positive – yet realistic – outlook as you progress. Seek outside advice Speak to an accountant and a small business banker – financial specialists who can provide insight into setting up your company, market competition and personal and business capital needs. And if you’re looking for ideas on what role you might take on in your retirement, consider this. 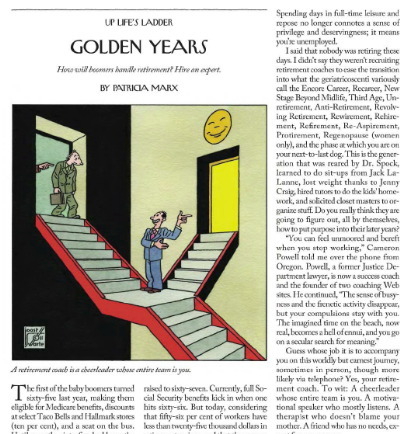 In her New Yorker article, Patricia Marx notes that membership in the International Coach Federation has grown by more than 700 percent since it was founded in 1995. It seems that one of the most popular retirement careers might be retirement coach. Thanksgiving in your retirement years might mean the long-deferred reward of letting the kids do the cooking and cleaning and entertaining, while you relax and enjoy the family gathering. But as the leaves blaze into their autumn beauty in the Beaver Valley and Georgian Bay seems to deepen to an even more impossible blue, you might find the family would prefer to visit you in your retirement community in Meaford. To make it fun, here are some tips on how to make Thanksgiving at your Meaford and Georgian Bay retirement property the best ever. …or adult. More and more people seem to be of the vegan persuasion these days, so you could very well be looking for a substitute for that plateful of turkey and gravy. While Thanksgiving often brings an autumn bounty of fruits and vegetables as starter courses or sides – such as squash, apples, and late corn – consider preparing a vegetarian main course and a vegetarian dressing (cooked separate from the turkey, of course!). Here are some great recipes to get you started, including Butternut Squash and Mixed Mushroom Lasagna, Winter Squash Stuffed with Mashed Potatoes and Peas, Black Bean and Zucchini Tortilla Casserole, or Hearty Vegetable Pot Pie. Make sure you make a lot; while these recipes cater to the vegans at the table, omnivores might just find themselves drawn to these tasty offerings, too. 2. Keep the grandkids happy, and the older folks will be, too. A big family gathering is a surefire way to get children wound up. And as much as you want to enjoy watching them having fun, the decibel level can be trying as the kids get hyper, cranky, or both. Here are some ideas on how to occupy the young’uns before, during, and after dinner. Need more ideas? Here’s a load of indoor and outdoor games to keep them occupied – and maybe even tire them out a bit. If you type “Thanksgiving family tips” into Google, number two is “10 Tips for Surviving Thanksgiving with the Dysfunctional Family”. At least one of these ideas is probably welcome at most Thanksgiving gatherings. The article gives you ideas on how to deal with such familiar archetypes the mopey teen; the “challenging” uncle with the outspoken political views; the critical know-it-all; and the “fire-and-water” duo.